A short drive from any city in Northeast Ohio, you can find yourself immersed in nature. 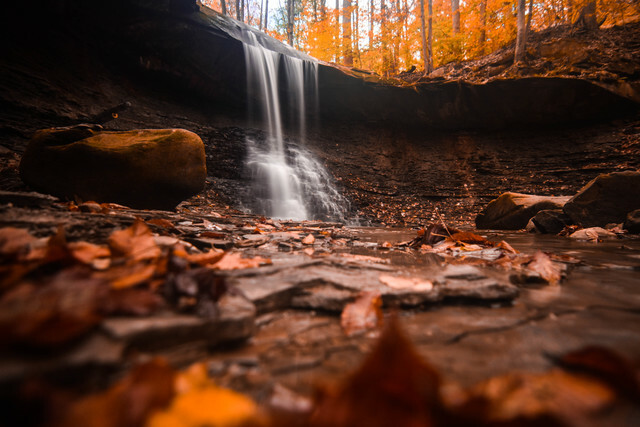 Standing on top of a cliff, viewing a waterfall or walking along the many trails located in the Cuyahoga National Park, there's also something to discover or revisit in this Northeast Ohio gem. On Aug. 25, 1916, President Woodrow Wilson signed "The Organic Act" creating the National Park Service— a federal entity responsible for protecting 35 national parks and parks that are yet to be established. The National Park System now consists of more than 400 areas, covering 84 million acres in all 50 states, according to the National Park Service. 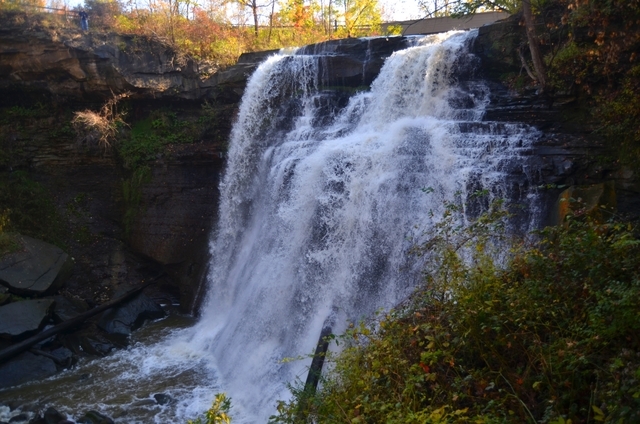 To celebrate National Park Service Founders Day, we've listed the top five places in the Cuyahoga Valley National Park to enjoy and celebrate our national wonder right in our own backyard. Whether it's spring, summer, or fall when the leaves are changing, Brandywine Falls is a place to return to watch the changing seasons. A boardwalk, accessible from the parking lot, allows visitors to walk directly up, front and center with the 65-foot fall. If you're looking for more than just a view, hike the 1.5 miles Brandywine Gorge Trail. The trail follows the edge of the gorge, eventually taking you down to creek level. It's worth revisiting in the spring when temporary pools fill with water and attract breeding salamanders. Photo courtesy of Erik Drost. It's rock garden and jungle gym fit for a giant. Hikers can walk along the 2.2-mile loop where rock formations and ledges line the trail for most of the hike. At the end of the trail, sit down and relax for an unobstructed view of nature as far as the eye can see. 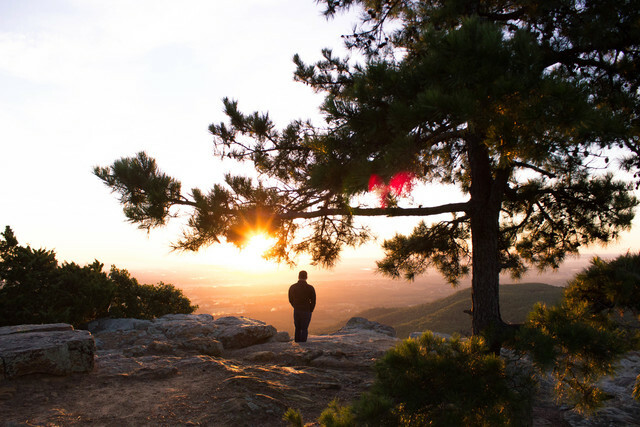 Want to skip the hike and feel like you're on top of the world? From the parking lot, walk to the southwest corner of the grass field. The shelter is north of the parking lot. For the best photos, go during sunset or sunrise. This crater-like waterfall is something to see. Its beauty is best captured after a heavy rain. To get there, walk south on All Purpose Trail ( don't cross over Alexander Road.) Turn off on Buckeye Trail and follow the edge of the ravine until you get to the falls. It's an easy trail through nature with a beautiful reward. The wispy Blue Hen Falls is small but mighty in its glory. The Blue Hen Falls trail heads north from the trailhead parking lot, taking hikers down an old driveway to Spring Creek. To reach the viewing area, continue right along the trail. You'll come across a split-rail fence that protects fragile habitats around the falls. This peaceful waterfall is a favorite among visitors. The hike to the falls is more difficult than most and considered to be a "hike at your own risk" because it's off the beaten path. 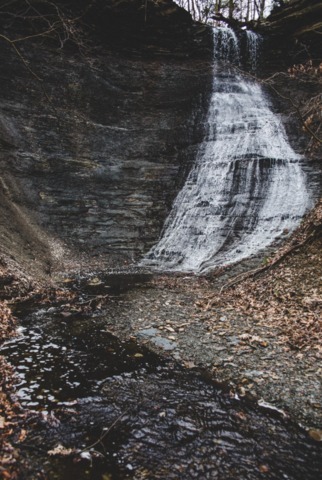 About 50 feet into the Cuyahoga Valley National Park, this amazing waterfall isn't as well-known as Brandywine Falls or other trails in the park. Reviews of the trail by other hikers warn those hiking to the falls should be prepared to wade through some water, so dress accordingly. To get there, take the towpath left and follow it under the Route 82 bridge. There are two streams that flow into the river, and you will need to reach the second one. Once you're there, you will wade through some water and begin hiking up stream. According to a review of the falls from The Outbound Collective, you'll come across a fork in the road roughly 1/8 mile of your hike. Keep going for another 1/8 of a mile until you reach it.